and Web/mobile applications for its customers in Latin America, Europe and the U.S. But as the firm’s reputation and client base have grown, its traditional waterfall approach to project management and product development was not maximizing results at scale. Enter Brian Paniccia, co-founder and managing partner of TecVeris, a Baltimore, Maryland, U.S.-based firm that specializes in Agile and Scrum transformations, lean product development, and employee engagement programs. 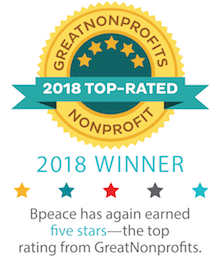 Brian was referred to this opportunity to help a Bpeace Fast Runner by his wife and business partner, Millie Paniccia--who is a member of GLG, the world’s leading platform for professional learning and expertise. As part of its Social Impact practice, GLG pairs social sector organizations like Bpeace with experts like Brian who can help them find solutions to their unique learning challenges. Passionate about economic empowerment, with Millie covering the home front, and with the support of the U.S. State Department’s Bureau of Educational and Cultural Affairs, Brian became a Bpeace Traveling Mentor and flew to Guatemala City to help Juan Carlos Ruiz, CEO and owner of MilknCookies, build a new way of working to improve the company’s business processes and grow its employee and customer satisfaction. Brian, Juan Carlos, COO Aldo Sarti and the pilot teams quickly set out to achieve the goals of the weeklong visit by first identifying the roadblocks holding the firm back. Some challenges were within the team’s control to change—such as improving project management and product development processes by using Scrum--and some were complexities typical to a growing economy. Brian made recommendations on how the Scrum method could address these challenges and began the training, starting with the company’s native mobile and Web application teams. The spirit of the firm and its management was to “embrace change,” and together with Brian, they did. By embracing the ideas of Scrum, the firm was able to improve processes that were affecting project delivery, damaging employee morale, contributing to employee attrition and leaving customers less than satisfied. As a result of unclear requirements, MilknCookies sometimes mis-scoped or underpriced a project, causing stress among the employees who were working hard to meet unrealistic timelines. Using the Scrum approach, the firm started involving employees in the estimating process so project costs and timelines could be more accurately determined. By instituting lean Agile processes and iterative methods to gather customer requirements and conduct demos for each release sprint, the empowered employees now have more say in how projects proceed. This increase in employee autonomy and engagement is a major plus, since it’s common for small firms to struggle to retain talent in the growing Guatemalan market. Three months into its new ways of working MilknCookies is experiencing some successes and some growing pains that it works through with Brian via regular phone calls and email exchanges. 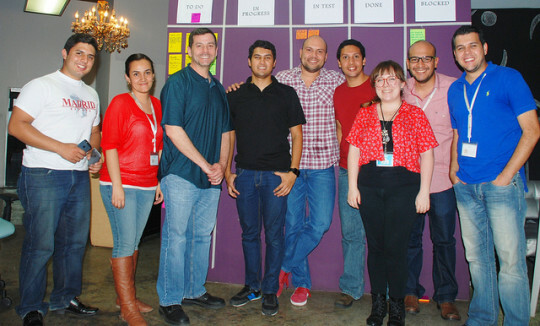 As Juan Carlos, Aldo and the rest of the team adapt the Scrum approach, they are also learning how to communicate this cultural shift to customers (who expect a certain way of doing business) and show them how together they can move further into a partnership based on trust, and overall quality and value delivered. In addition, they are examining ways to educate customers about the importance and benefits of team cadences, inspection and adaption cycles, and stable development flows, as well as how Scrum approaches improve the predictability and quality of a team's work. “It was so intrinsically motivating,” Brian says. “If you are passionate about supporting teams, getting them passionate about change, and improving employee motivation and engagement, this is exciting work.” Practically speaking, he shares a few other tips for those considering becoming a Traveling Mentor: Make sure you enjoy traveling, take advantage of the Bpeace templates to help you prepare, and consider adding time to your agenda if interpreters will be needed. It’s also important to immerse yourself in the local food, history and culture--to help form the relationships you will need to be successful. Brian hopes to visit MilknCookies again in the future to lead refresher training and see the firm’s new offices, as it is due to graduate from an incubator program and move to a great new location!